Pleats can be used in many different ways, most commonly in pleated skirts but also in tops, pillows and in this instance, a zippy pouch. I’ve developed a method of creating crisp, accurate pleats for whatever application you wish to use them in. In this instance, I’m using a medium interfacing which is just a tad too heavy, a layer or two of light interfacing would probably be better. 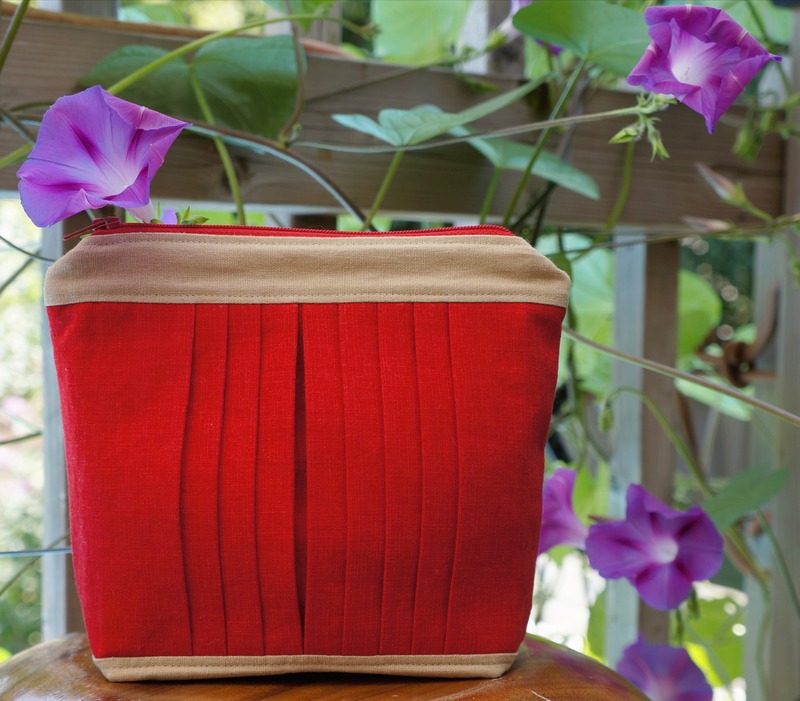 For the example below, I cut a piece of fabric 8 & 1/2″ x 20″ which gave me a total of 6 pleats – for the zippy pouch pictured, my fabric was 30″ long which gave me 8 pleats. You can interface your fabric or not, depending what you plan to use it for. 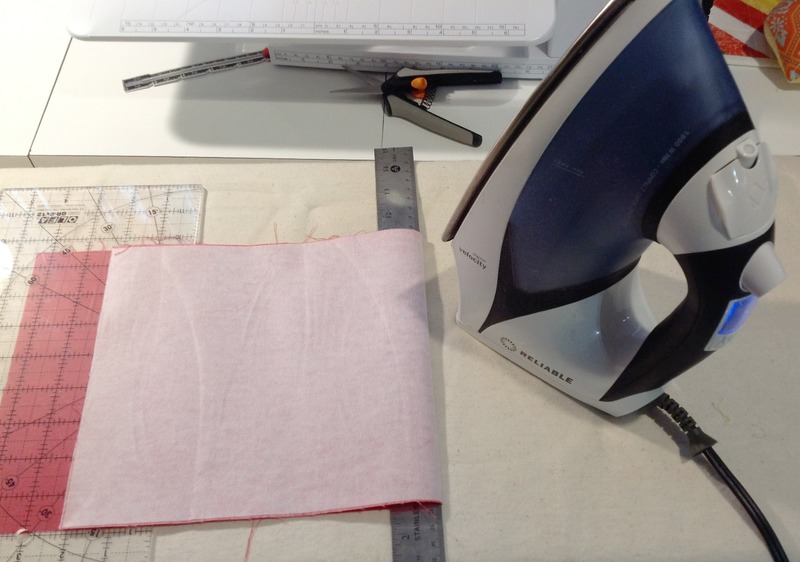 When I apply interfacing to fabric, I press an area with my steam iron for 10 seconds then move to the next section, never “iron” your interfacing by moving it side to side, simply keep it stationary and apply pressure. Click any photo in this series to enlarge.
. ~ . ~ . ~ DIRECTIONS ~ . ~ . ~ . 1. On the wrong side, mark the centre of your fabric and one inch on either side of your center line. I’m using a Pilot Frixion erasable pen (purchased at Staples) which disappears with steam or heat. You can use a water soluble or disappearing pen. I would not recommend using a pencil or pen as the markings would be visible. 2. Turn your fabric over so that the right side is up. 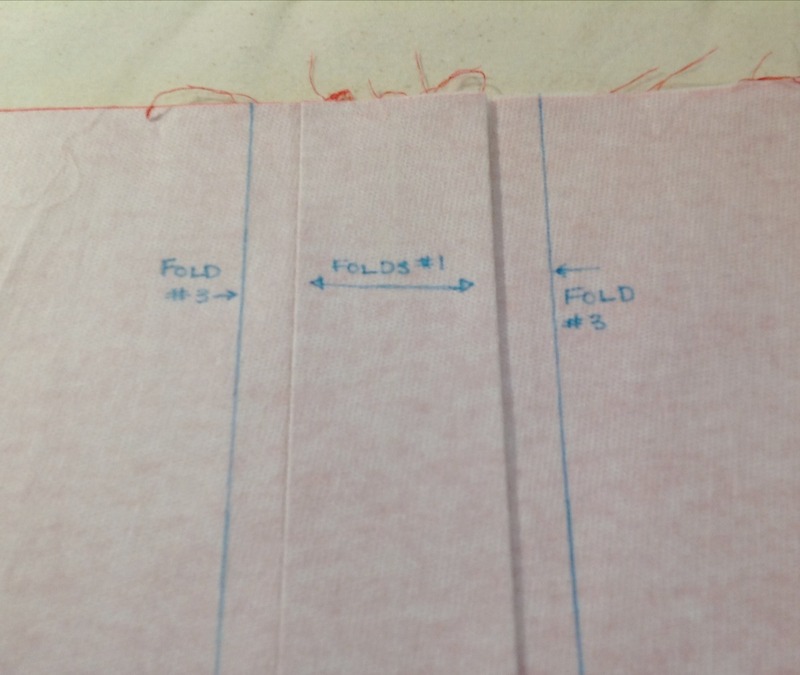 Fold the right side of your fabric over the ruler and line up your 1″ marking with the edge. Use a steel or wooden ruler or even a piece of stiff cardboard (a steel ruler works the best). 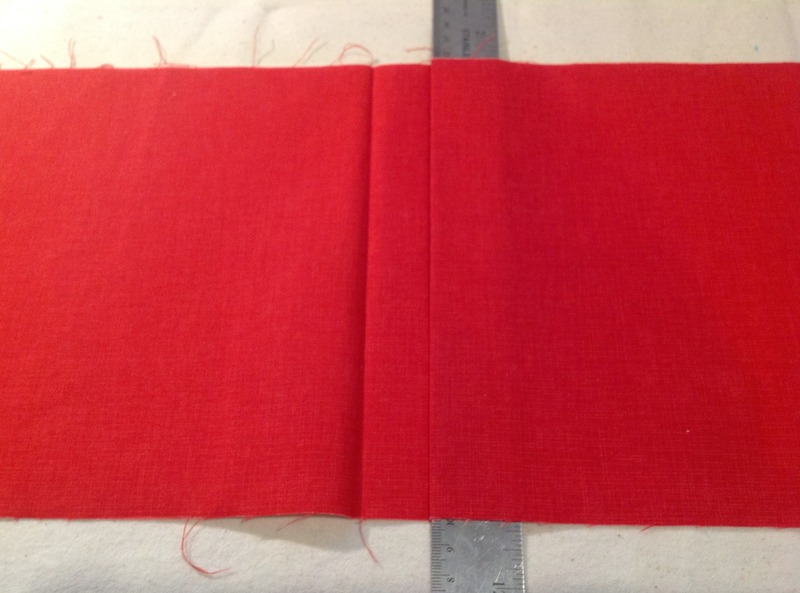 Leave the ruler in the fabric fold while you press then slide it out and press the fold again, use starch if desired. 3. 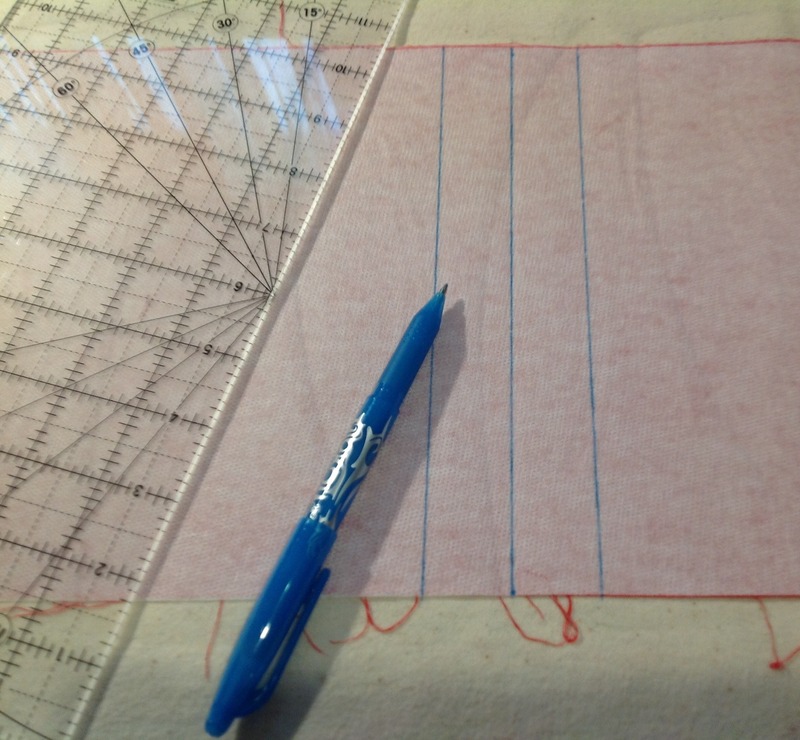 Using your ruler, draw a line 1″ from your first pleat. 4. 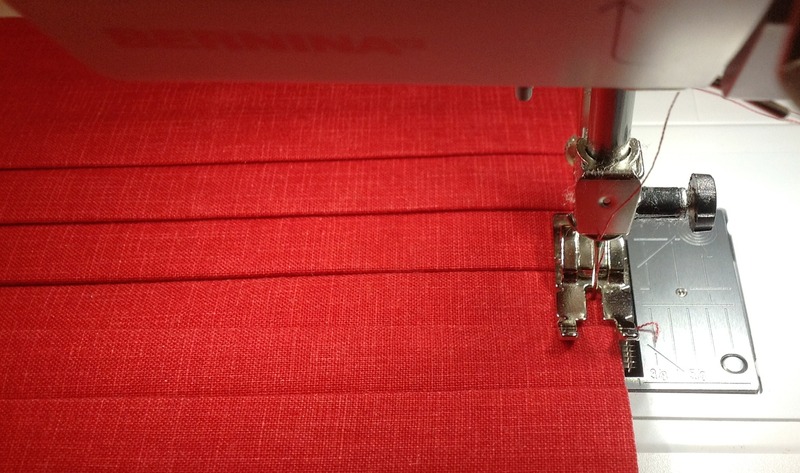 Place your ruler’s edge on the line you just drew then fold your fabric back over the ruler and press. Slide the ruler out and press again. 5. Turn your work over so the wrong side is facing, measure and mark 1/2″ from last pleat(s) then flip over again so right side is facing up. 6. Fold the right side of your fabric over the ruler and line up your new line with the edge and press, slide the ruler out and press again. Repeat these steps until you either run out of fabric or obtain the desired number of pleats. 7. 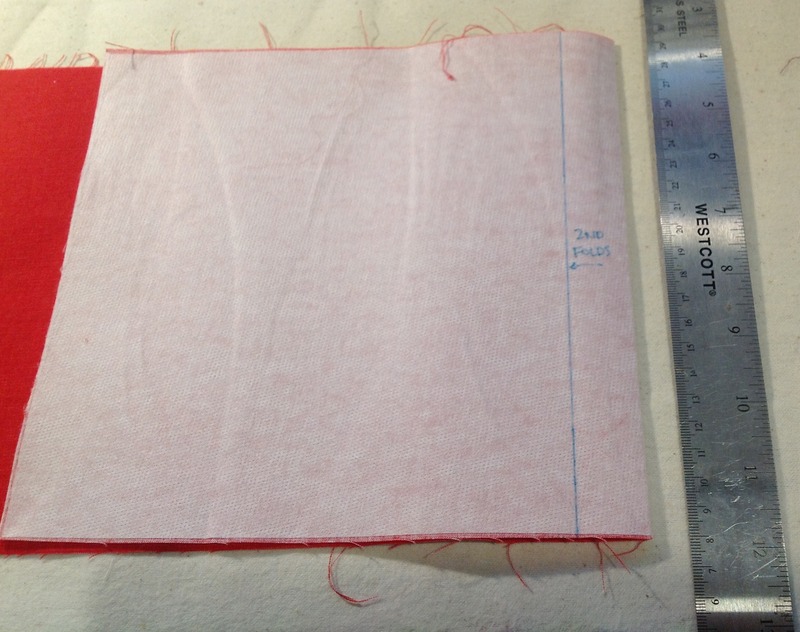 This step is optional, I like to sew 1/8″ on either side of the finished fabric to secure pleats in place, I find this helpful when creating a zippered pouch. You can have your pleats come together at a center point or all pleats going in one direction, the choice is yours. 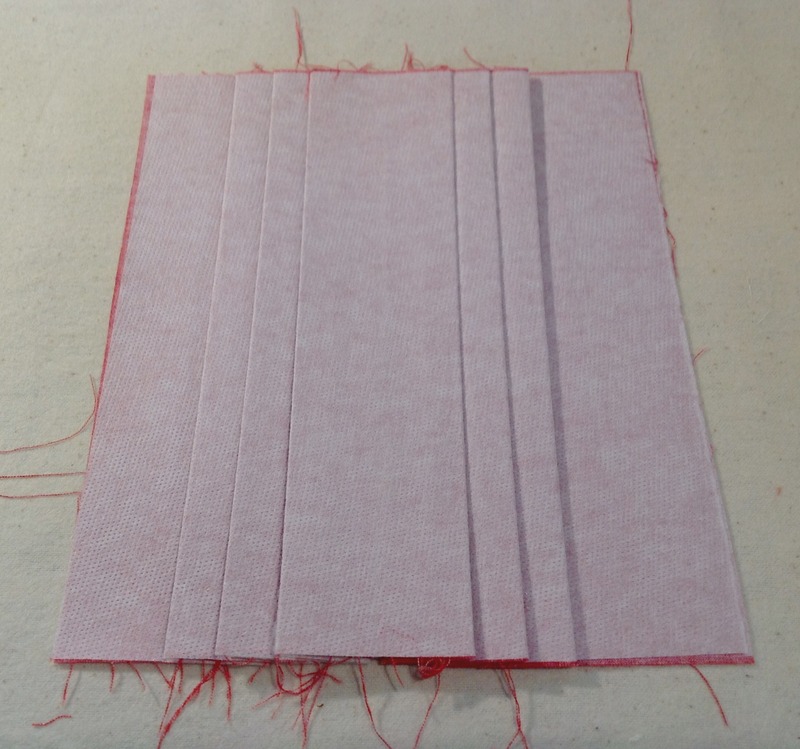 You can also use this method to create box pleats. I hope you find this tutorial helpful, if you find any errors or confusing instructions, please let me know! Thank you for the tutorial on pleats. Very helpful!